The Zombie Shelter Sign is a great way to lend a helping hand to your fellow man when the dead rise as zombies. This sign has the look of a road sign, so it could easily be mistaken for one if it was not for a few key differences. This sign is made from lightweight, vacu-form materials, which gives it a realistic look as well as a lightness that allows it to be hung just about anywhere. This sign consists of a vibrant, classic yellow-orange backing with a black bar at its base. Outlined on the orange-yellow part of the sign are solid black zombie silhouettes, while the black bar at the bottom of the sign features matching orange lettering that reads Zombie Shelter with two arrows underneath that point towards the right. This sign measures 19 inches tall and 16 inches wide. 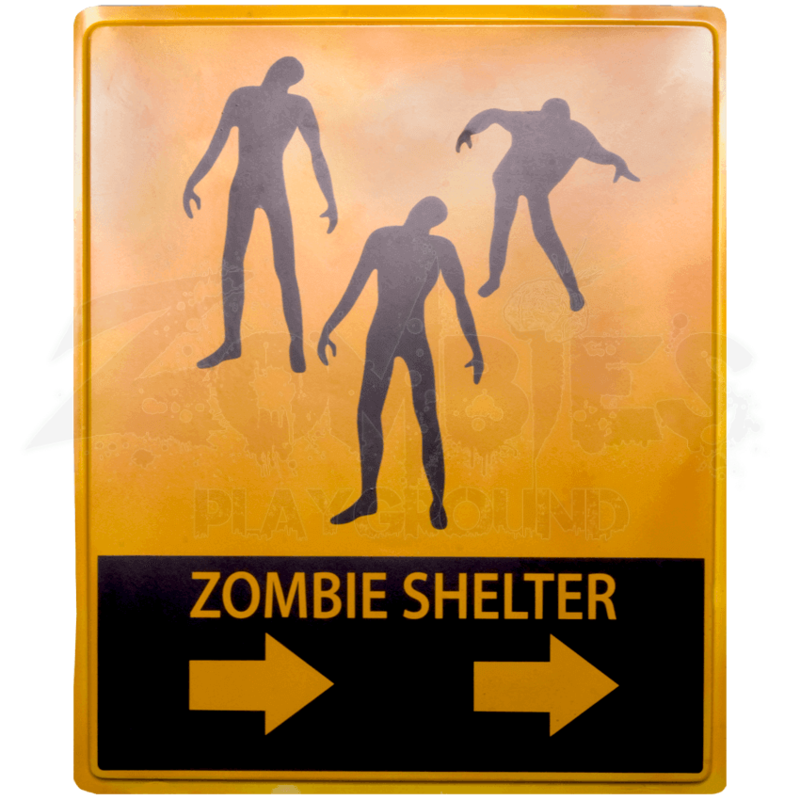 Perfect for directing zombie outbreak survivors towards safety, the Zombie Shelter Sign is a nearly full-proof plan for keeping the living safe and the dead unaware.